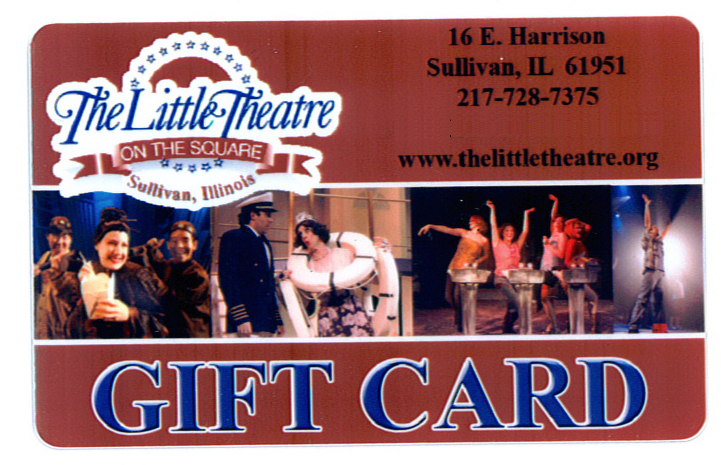 Gift Cards are available in any amount, never expire and may be purchased by calling The Little Theatre On The Square Box office at 217-728-7375. You can pay for your gift card with cash, check or credit card. They make great gifts for any birthday, anniversary or holiday.